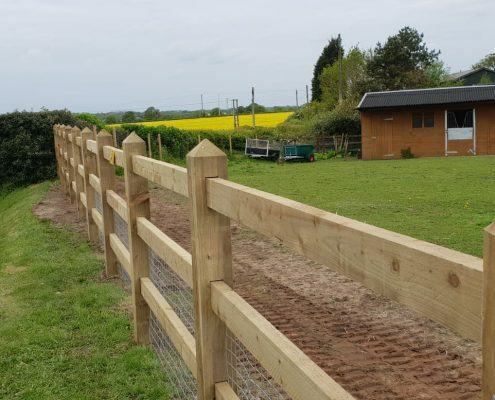 The Stockdale fencing team horse netting with pressure treated creosote posts in Antrobus. 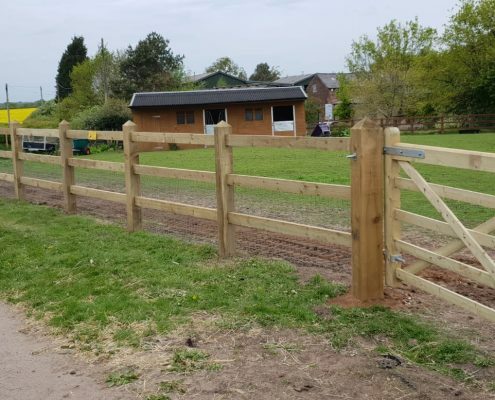 This fence is designed to last for more than 20 years to give the customer peace of mind that this will last. 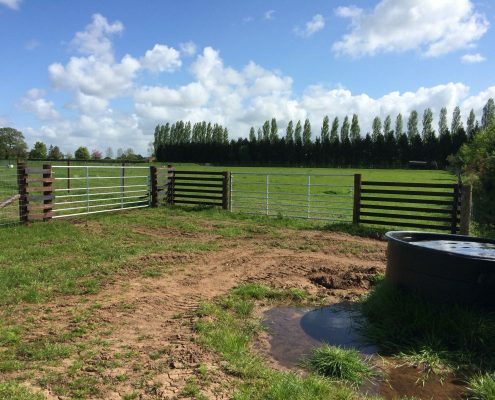 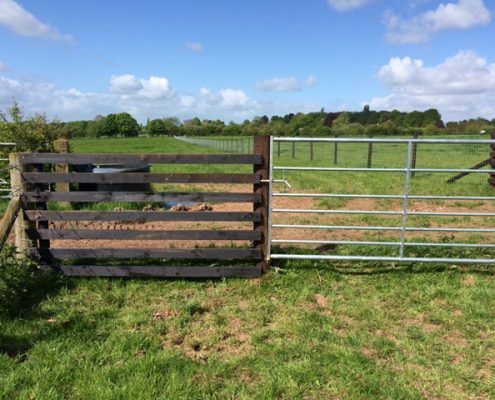 This type of fencing provides safe and secure paddock fencing for horses. 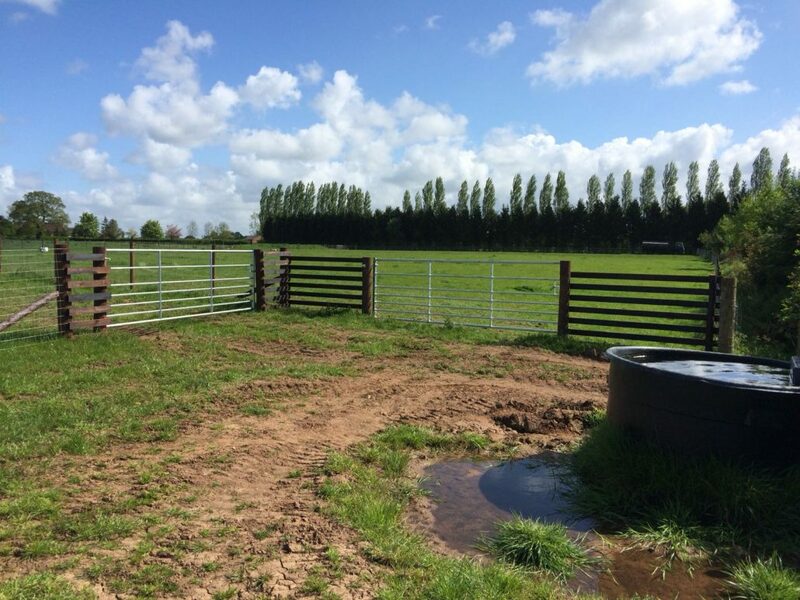 The horse netting has also been topped off with a strand of electric fencing. 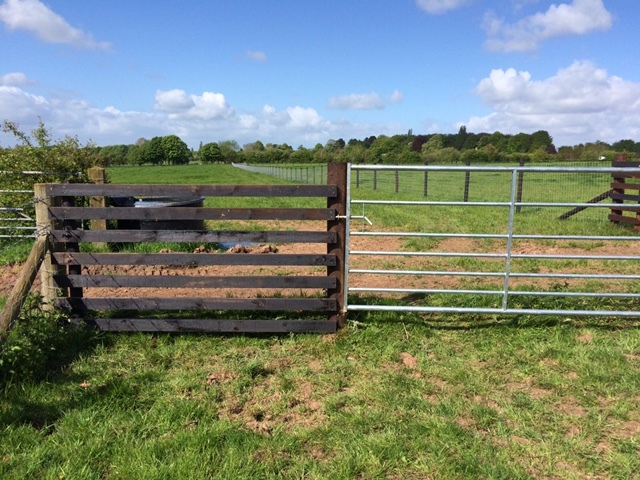 This will prevent horses from abusing the fence making it last even longer. 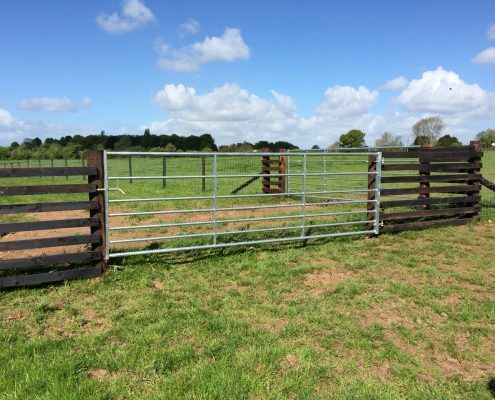 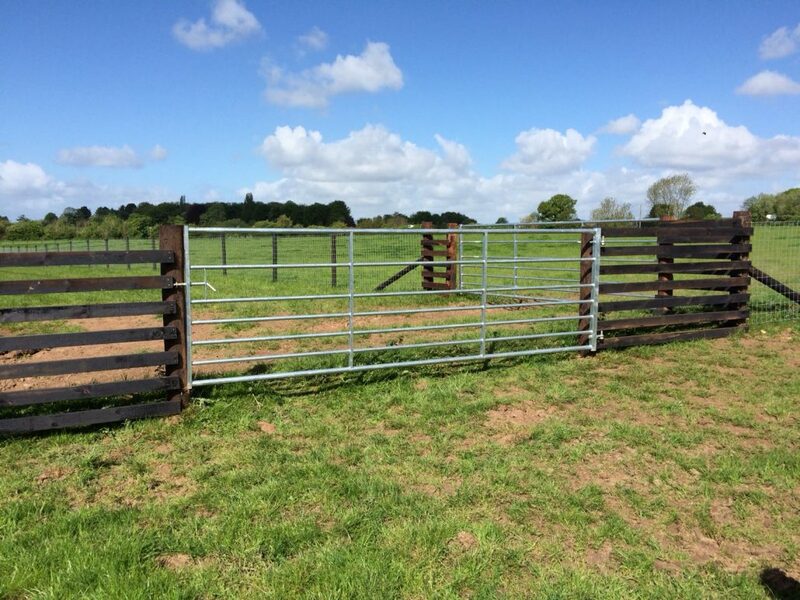 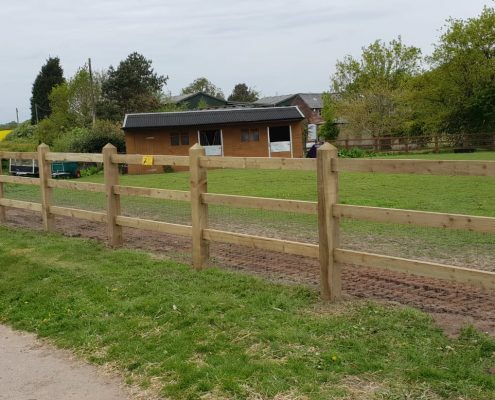 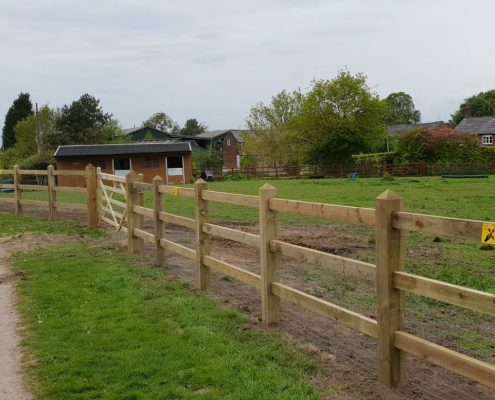 To discuss your equestrian fencing requirements, get in touch today.